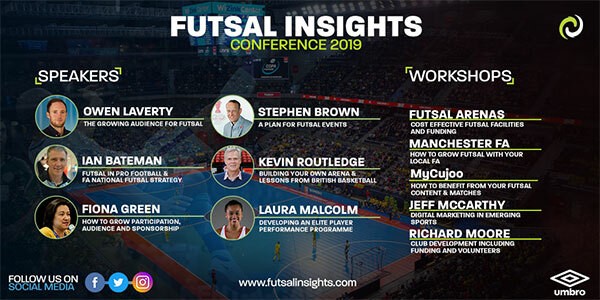 The line-up for the Futsal Insights Conference 2019 is complete with leading sport industry experts and practitioners from futsal and other sports offering a packed schedule that will address the key challenges and opportunities for the game. For anyone interested or involved in the development and future of futsal, it has become an event not to miss. 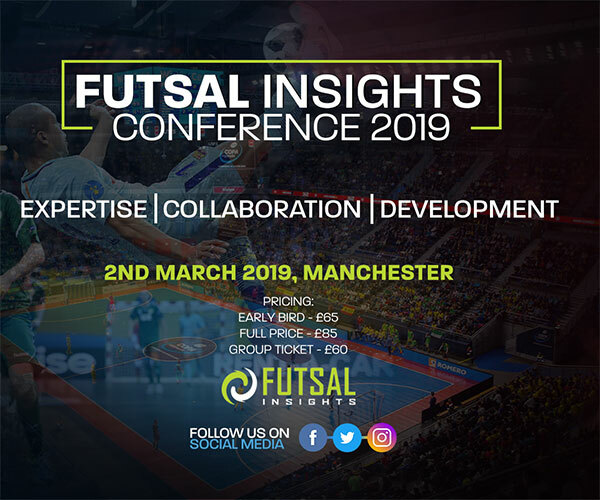 As well as insights, knowledge sharing and discussions from the speakers, it is a chance to connect with key decision makers and like-minded people from the futsal community and sports industry, who will all assemble in Manchester on 2nd March to help shape the future of the sport. It is the only event of its kind worldwide where you gain expertise and network to form a vision for futsal and make it a reality. If you want to be part of the growing futsal movement then reserve your place from £60 (inc. lunch buffet & coffee break refreshments) by clicking here. Don’t Miss The Opportunity To Be Part Of The #FutsalMovement!